While many of us may be afraid of heights, there are a select group of people that seek out the highest and most dangerous activities. While these thrill-seekers try to find the tallest mountains, the narrowest hiking trail or the highest tightropes, we’re sitting comfortably at home. 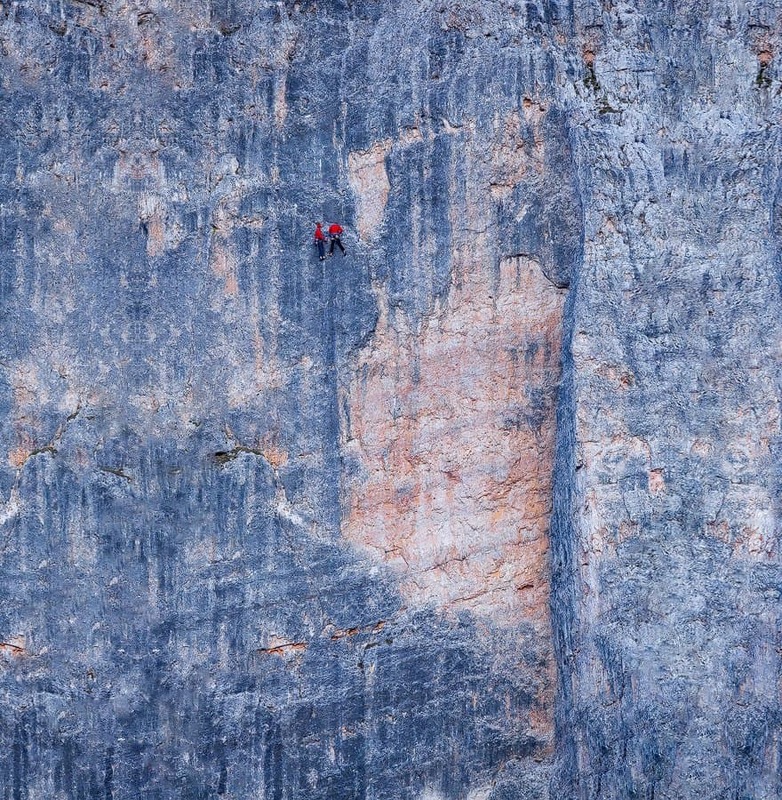 This list contains fifteen images which include daredevils seeking refuge on the side of a mountain, walking a thin rope over 800 meters above the ground and hanging off the ledge of a skyscraper unassisted. 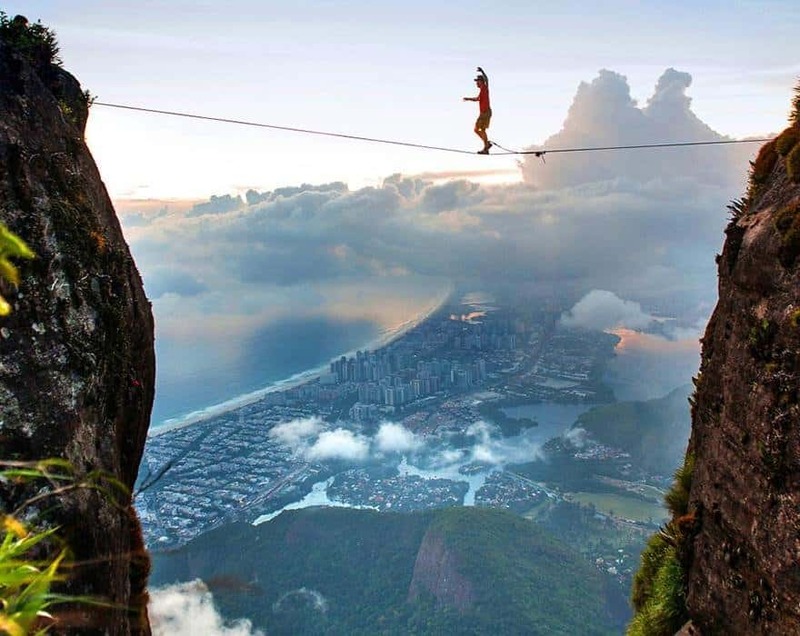 This breathtaking picture of BrayBrayan Mosby walking the tightrope near Rio de Janeiro. While we get to look at this sitting comfortably in our seats, Mosby walked across this tightrope at close to 850 metres above the ground. This amazing photograph was taken on the Cliffs of Moher, which is located on the west coast of Ireland. Even though the cliffs have a 600m drop into the Atlantic Ocean and have crazy winds, tourists still go mountain biking along the cliffs just to see the beautiful scenery. Many of us think that camping is just on the ground, but it seems that some people go through the pain of walking for weeks in the Yosemite National Park just to get to their camping destination, which is sometimes hanging off of a 4,000 ft cliff face. You would think that after hearing that this hiking spot is the world’s most dangerous hiking trail, people would steer clear. While we definitely wouldn’t want to hike across those, people still do. 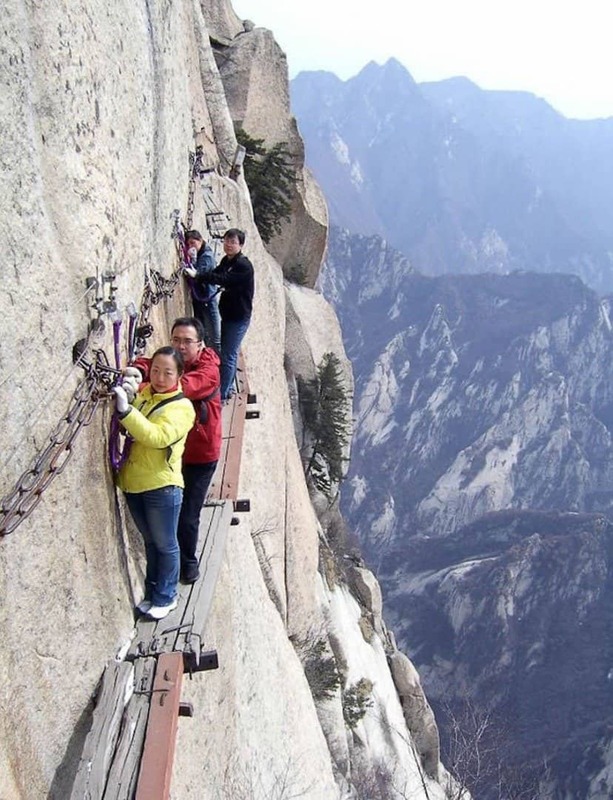 The Mount Huashan Death Trail is located in China, and people are known to hike it just to get to a tea house that is located 2,160m up on the mountain’s southern peak. The cliff featured in this image is actually only one of five, and is known as Cinque Torri (Five Towers). There are over 130 routes which can be taken, however most of them are short and vary due to climber strength and fitness. 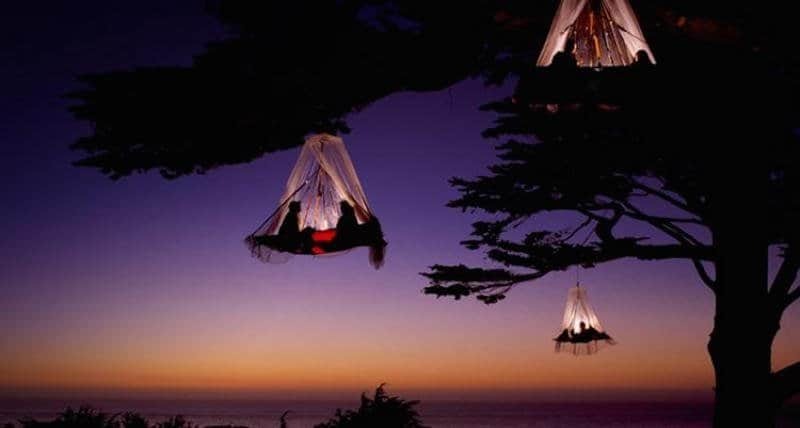 Waldseilgarten, a resort in Pforten, Germany has people literally hanging their tents thousands of feet off the ground. 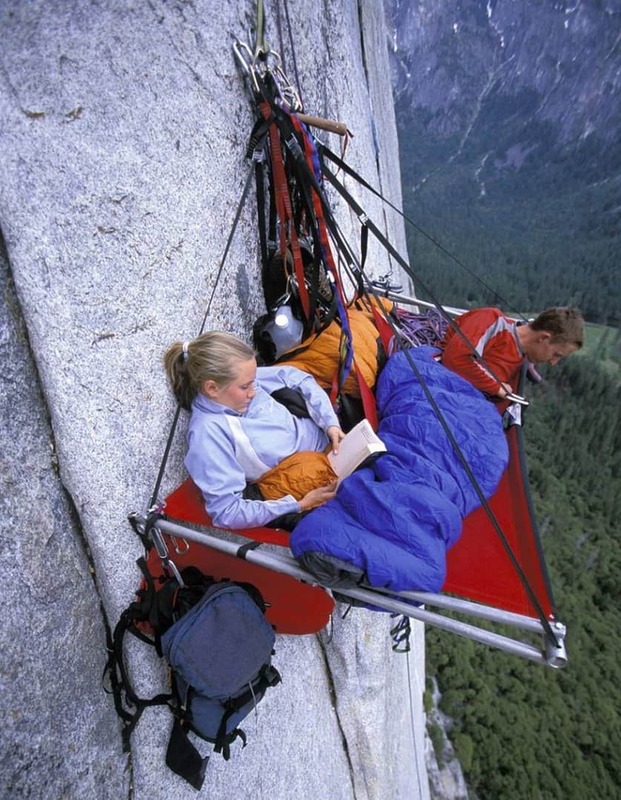 Guests are able to go to the resort and sleep in their very own portaledge, however some of the more dare-deviling guests are more than welcome to sleep on an overhanging platform on cliff faces, that are positioned from 100m to 2000m off the ground. 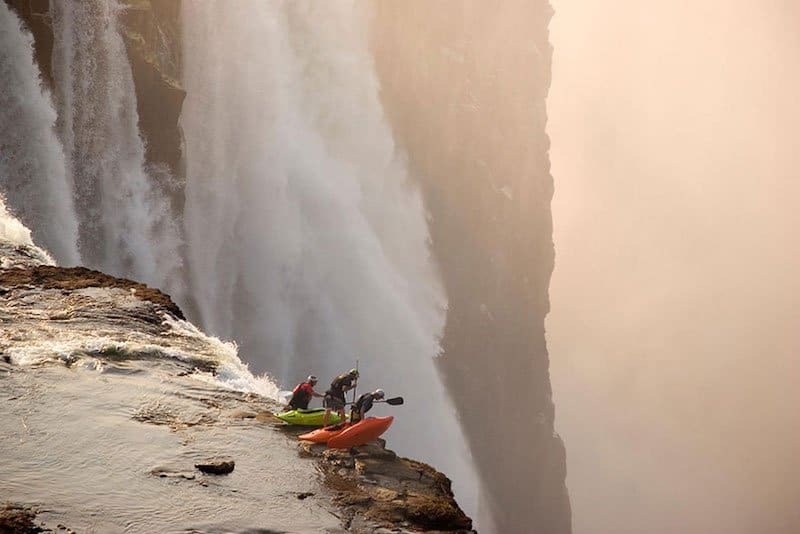 A few people have been known to kayak to the very lip of the largest waterfall in the world, Victoria Falls. However a 350ft drop is the least of their worries, as these daredevils are left with the thought that they could be eaten by crocodiles and hippos. They were lucky to have survived and abseiled to the bottom of the waterfall, and kayaked further. 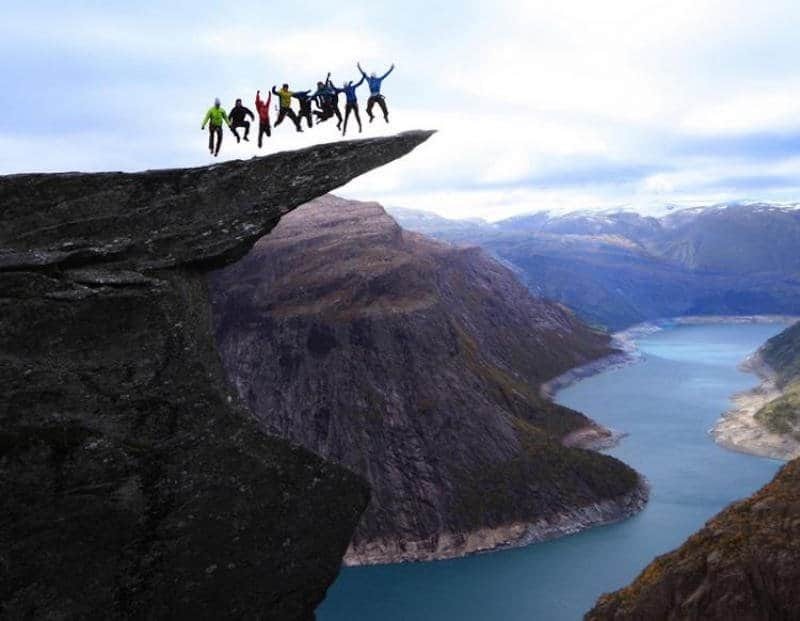 This amazing picture of 9 people jumping, is on a high rock that is around 700m above the ground. The rock is known as the Trolltunga Rock and is located in Odda in Hordaland county, Norway. The EdgeWalk is located in Toronto, and is the first of it’s kind in North America. It is the world’s highest full-circle hands-free walk. The circle is located 356m (1168ft) above the ground and has a 5ft wide ledge. Rock climbing seems to be big in South Africa, with a multitude of places to go rock climbing. 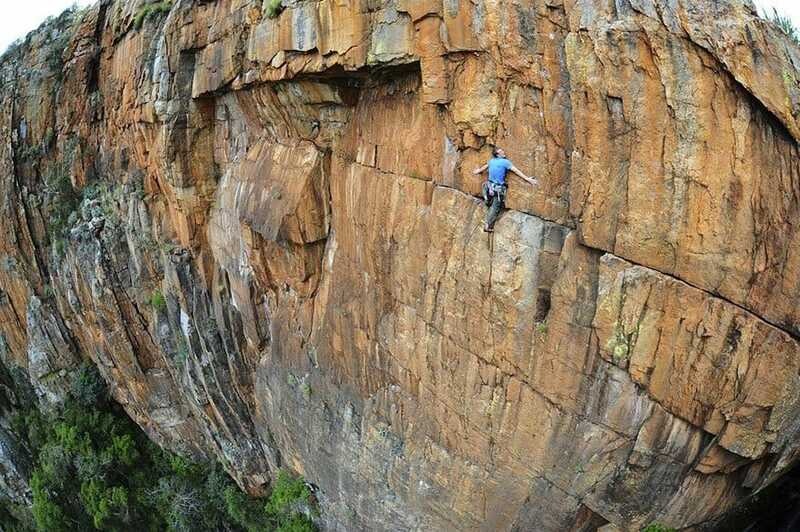 There is, however, two main spots that have been found to be the best sports climbing areas, known as Waterval Boven and Montagu, both are known to have over 400 routes. The young male that is in this picture caught the eye of some urban explorers in Russia. 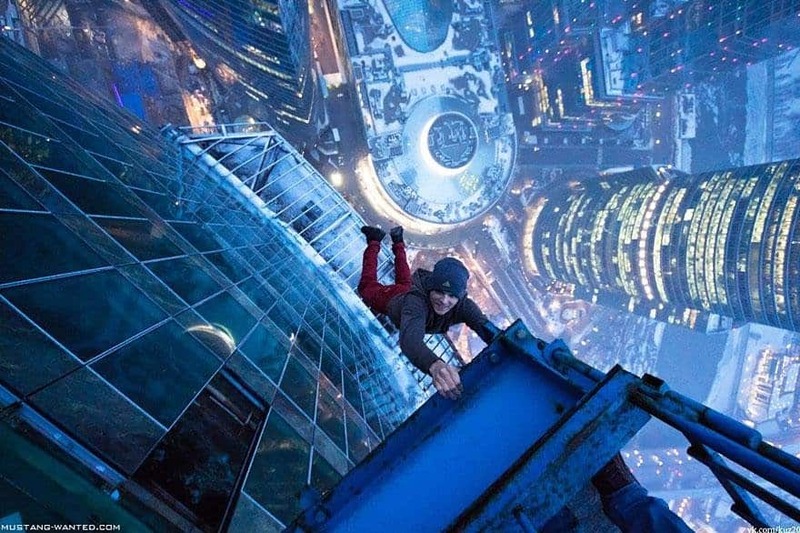 He and his friends have joined a group that are known in Russia to jump and hang from the tallest buildings in the country, despite being thousands of feet off the ground, the group still refuse to use safety equipment. 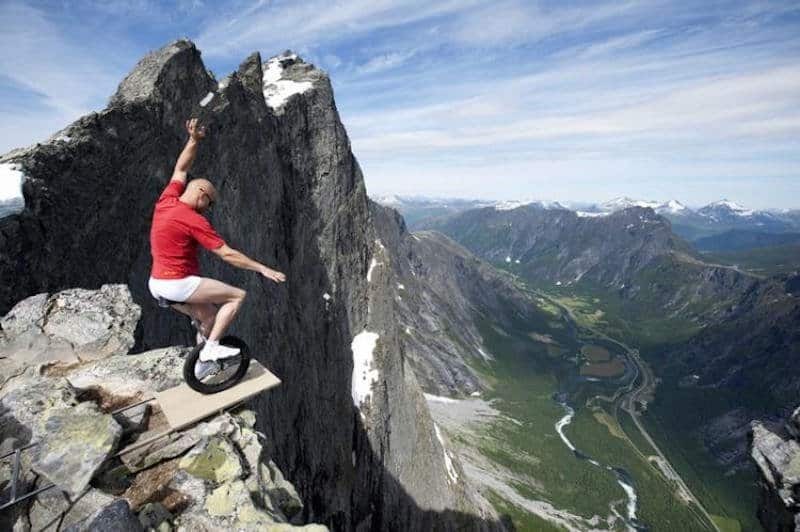 Eskil Ronningsbakken, a well known daredevil in Norway, was photographed balancing on a plank of wood that was placed on the edge of a 1,400ft high cliff, whilst riding a unicycle. This image was taken as part of National Geographic’s Redwood Tree gallery. 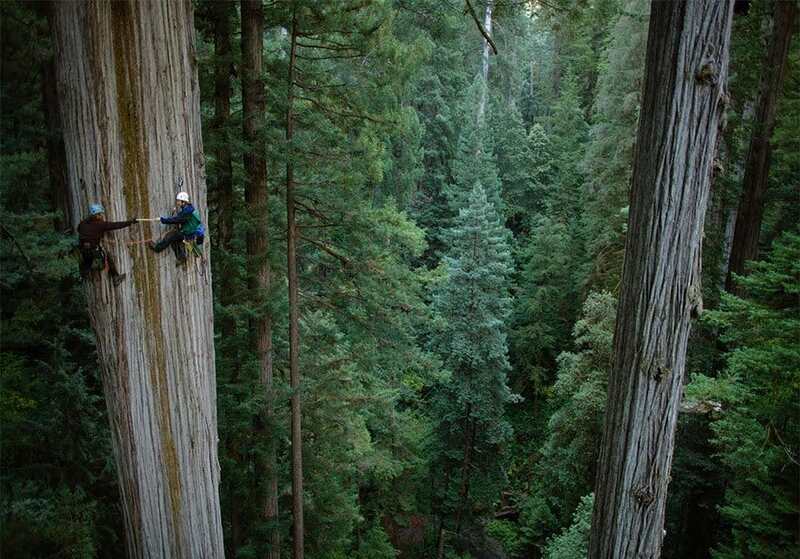 The massive tree shown in the image of a giant redwood, which can grow over 300ft tall. 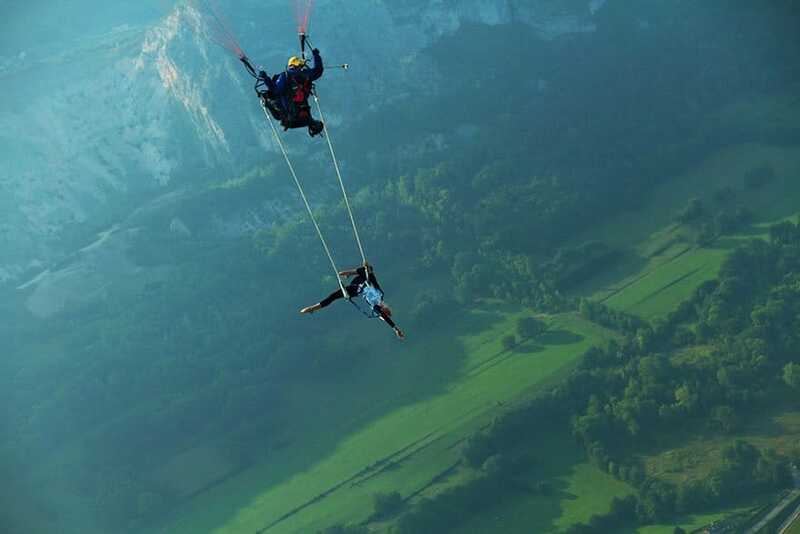 Paragliding is one thing, but paragliding with a trapeze performer attached to you is another. A professional circus performer has been seen attached to a paraglider’s ropes, whilst being 600m above Lake Annecy, France. 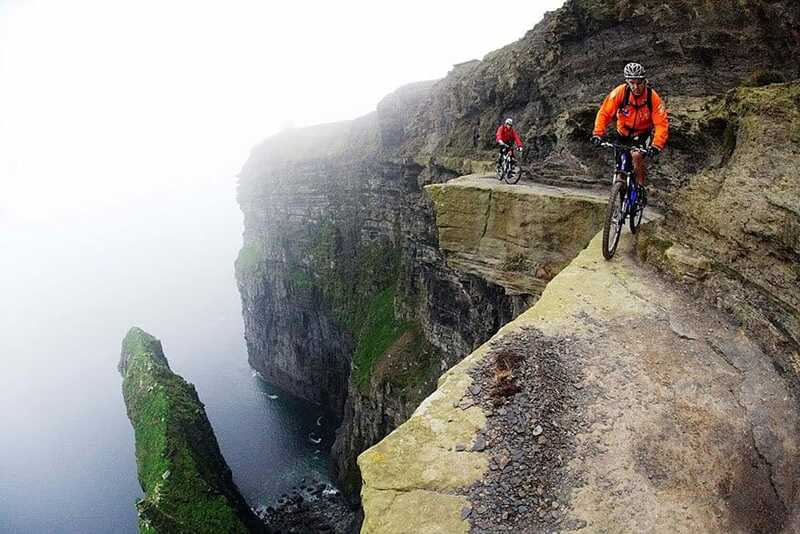 This image has caused a little bit of a steer in Ireland, as the cliffs that the lady is tightrope walking between are supposed to be biking trails. These cliffs, known as the Cliffs of Moher, are located on the west coast of Ireland.